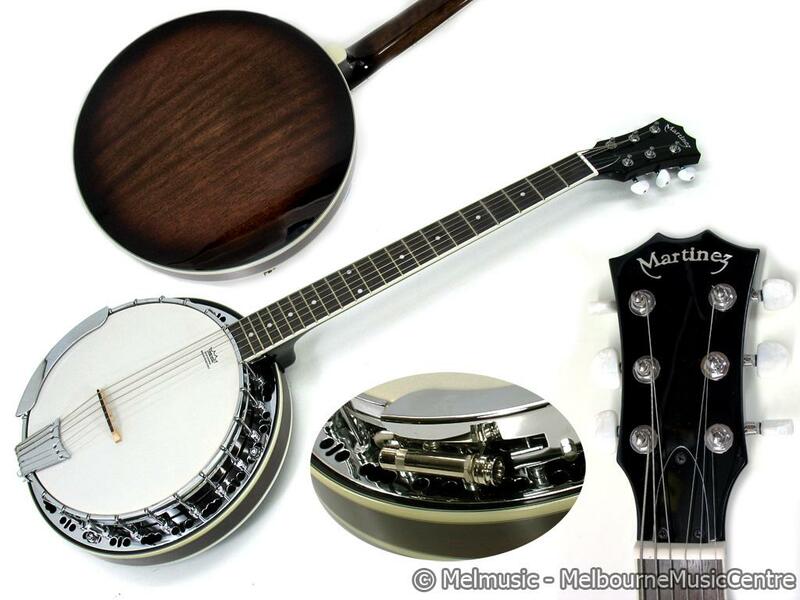 So for the last 18 months I have been gigging with Emma with one of these – a Martinez 6 strong banjo guitar. It is tuned just like a guitar, but has a sightly lighter, plinkier tone and sounds pretty good on some of the recordings. I can’t actually remember how much it was – it was fair amount, but not the $849 price tag listed at the Melbourne Music centre site. The model I have might be a step down from this one I pictured, and the writing on the head is different. But it looks similar, otherwise. At live shows through a PA or amp, it doesn’t actually sound like a banjo at all. It sounds like a guitar. So why not just play one? It goes out of tune easily. It has intonation issues even when the open strings are perfectly in tune. There is some problem with the way the G string is set, so that if it is perfectly in tune open, it will be very sharp on the 2nd fret A. That means you basically cannot get it so that open G and open A and D all sound good. You have to pick, or compromise. For a folk player, that is a pretty major issue because those are the main three chords! So I am selling it. Not here though, because I just told you how wretched it was. I am gonna buy a hollow body electric I think.